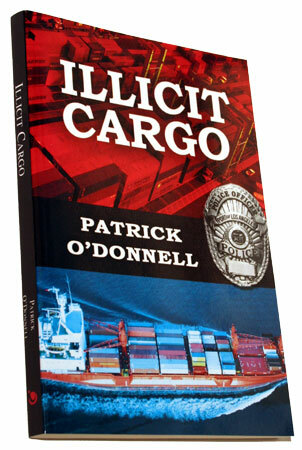 Port of Los Angeles Detective Sergeant Shake Jonson is on the trail of smugglers trading in illegal drugs, illegal aliens, and illegal weapons. Before he can identify the culprits he finds he has gone from being the hunter to being the hunted. When Jonson is the victim of an arranged car accident, he realizes that a corrupt LAPD lieutenant and a wealthy philanthropist, who is in-fact a crime boss, are working together to make sure he doesn't crack the case. Most responsible for their dirty work is Lars Larson, right hand man of the crime boss who is deeply involved in a spate of crimes committed in the harbor. During the investigation, Jonson builds a close relationship with Carole Lang, the beautiful and charming daughter of one of the murder victims. Jonson finds himself in danger of losing not only his avowed bachelorhood, but also his life. Will Detective Jonson uncover the goods he needs to bring the crooked cop and his associates to justice? Or will the malevolent Lars get to Jonson before he can do anything about it?